Can a DSC Impassa Do Home Automation w/o Monitoring? No, a DSC Impassa cannot do home automation without monitoring. The reason for this is that the Z-Wave controller for the panel is built-in to the panel's cellular communicator. Unless an active cellular communicator is installed, the panel will be unable to support Z-Wave devices. In order for a panel to perform home automation functions, it must have an installed Z-Wave controller. For the DSC Impassa, the Z-Wave controller happens to be integrated into the add-on Alarm.com cellular communicator. Unless a cellular module is added, a DSC Impassa will have no way of supporting Z-Wave devices and no way of performing home automation. Once a cellular communicator has been added, Z-Wave devices can be enrolled to the panel. Rules and scenes for the Z-Wave devices can be set up from Alarm.com. This is an interactive service platform that can only be accessed by an alarm system with an active cellular connection. There are a few things that are needed to get a DSC Impassa connected with a cellular network. Obviously, a cellular communicator will need to be installed. Users can choose between a cellular radio for the Verizon network or the AT&T network. We recommend choosing whichever service tends to work better in your area. The DSC Impassa System will need to be running firmware version 1.3 or higher to support the communicator. Additionally, the user will need an alarm monitoring plan that includes cellular connectivity. 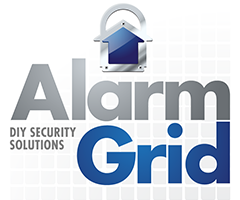 For Alarm Grid, these are the Gold and Platinum level plans. Once the DSC Impassa is running cellular, it will be able to support Z-Wave devices and home automation. However, cellular service provides more benefits than just simply allowing a DSC Impassa to perform home automation functions. Cellular connectivity is widely recognized as being the most reliable communication path available for an alarm system. Cellular service is rarely down or unavailable, and it is not affected by typical power outages. It is also nearly impossible for others to tamper with a cellular connection, and the provided speeds are nearly as fast as WIFI. For these reasons, upgrading to cellular is important for any user of s security system.